Paid endorsements have existed in the marketing world for decades. While we can certainly call this an early form of influencer marketing, the term as we know it today is relatively new. The concept has evolved from cashing in on the infamy of big-name celebrities to focusing more on harnessing the power of micro-influencers and nano-influencers as well – those small but mighty brand ambassadors that can target promotion towards pockets of highly-relevant consumers. It is increasingly being used in the fashion and B2C industries, but for the events industry, influencer strategy still has no rulebook. “When a ‘professional hero’ is telling us we will benefit from attending, the average participant will be more excited about participating and will push a little harder for attendance,” says Tahira Endean, Chief Creator TahiraCreates. Tahira Endean, Chief Creator TahiraCreates. 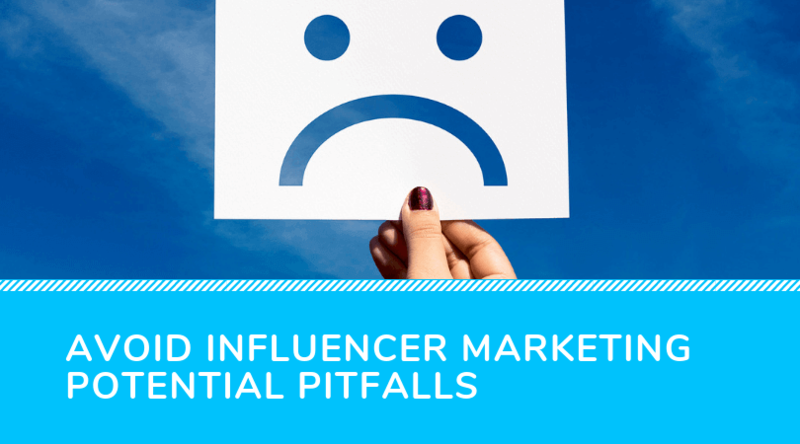 This article is geared to help event professionals avoid potential pitfalls when looking to set an influencer marketing campaign in motion. Like all endeavours, there are risks that can be minimized by using a well-informed influencer strategy. We want to empower you to by sharing our tried-and-true tactics that will guide you down the right path, and lay the foundation for a successful event influencer marketing campaign. This point is all about guessing vs. hard data. An influencer strategy should never be based on guesswork or hunches. Anything that is not proven empirically is the enemy of this type of strategy. When identifying who your influencers are, a minimum of 1 year’s worth of attendee and marketing data can make a huge difference. With snöball, you can easily harness this data and put it to good use through simple analyses: you always know which of your event stakeholders were the most engaging and successful in spreading the word about your event. 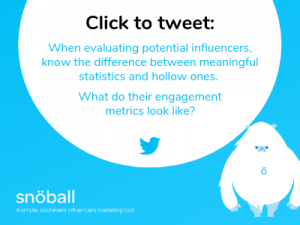 Because the data stems from your community, snöball delivers the kind of 1:1 insight that is essential in planning an influencer strategy. There are other sources of data worth looking into as well, including attendance records from both your meeting and exhibit hall. Spikes in attendance are notable and could indicate that a certain person or organization is of particular interest to your audience. Post-event surveys represent a goldmine of candid opinions and reliable data and are never to be ignored. Be sure to include questions on favorite speakers as well as who delegates would like to see make an appearance in future events. Finally, referral codes also present a concrete way to see who among your influencers has the most reach and ability to convert word-of-mouth into sales. Engagement rates; how many people among all viewers took the time to like, comment, or share content? Conversion rates; were sales directly influenced? Bounce rates; how many people visited a blog or site before exiting after one page view? When a potential influencer’s engagement metrics are strong, it indicates that they have both the reach and influence to affect your event’s bottom line. How can your influencers go beyond event promotion to take even more of an active role in the success of your event? The answer lies in allowing them greater control over the design of the event itself. Your event’s stakeholders know what delegates want, so why not ask for their opinion during the planning stages? They know the ins and outs of the event floor plan, program, networking opportunities, and all other features better than most, and they have regularly been on the receiving end of honest feedback as neutral third parties. If there’s any way you can add more value to your attendees, your influencers would know how. We see “event influencer meeting planning” as a natural evolution of event influencer marketing. Event influencer strategy guidelines have yet to be set in stone, but using our extensive event marketing experience, we can provide tried-and-tested advice. Based on our drive for stronger and more effective event promotion, we built snöball, a platform that is ready for the future of event marketing. Book a demo to discover how snöball can help build your event attendance.